Sierra Leone's army has "sealed off" the borders with Liberia and Guinea in a bid to halt the spread of Ebola, the army spokesman said on Tuesday. The spokesman told Reuters that troops had been sent to all border crossing points. The top range of the estimate, 1.4 million, assumes that the number of cases officially cited so far, 5,864 according to the count kept by the World Health Organization, is significantly underreported, and that it is likely that 2.5 times as many cases, or nearly 20,000, have in fact occurred. 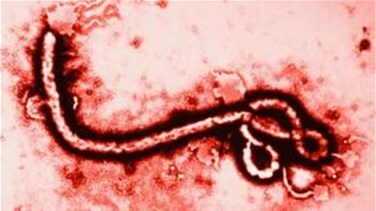 CDC emphasized that the projections, based on an epidemiological model that takes into account how many people each Ebola patient eventually infects as well as other factors, is based on data available in August. They therefore do not account for the recently announced U.S. government Ebola relief effort, which includes sending 3,000 members of the armed forces to the Ebola-stricken region. "Extensive, immediate actions - such as those already started - can bring the epidemic to a tipping point to start a rapid decline in cases," CDC said in a statement. Also on Tuesday, a senior U.N. official said Liberia, the West African state hardest-hit by the worst Ebola outbreak in history, remains gravely short of foreign health care workers despite repeated pleas for help. Efforts to tackle the Ebola outbreak, now six months old, have been too slow to stop the disease infecting more people than ever before and spreading from its origins in Guinea to Sierra Leone, Liberia, Nigeria and Senegal, killing over 2,800. Without scaling up efforts to tackle the deadly haemorrhagic fever, there could be 20,000 cases in West Africa by early November, half of them in Liberia, according to a World Health Organization study published on Tuesday. Antonio Vigilante, head of the U.N. Development Program in Liberia, said 40,000 community workers needed to be trained and the country still had far too few foreign experts. The opening of a new clinic in Monrovia meant Liberia now had 350-400 Ebola bed spaces but this was still far below the target of 2,000. "We have some 50-70 cases per day. Even net of the people that die, it's very, very difficult to keep adding 30 or 40 beds or day," Vigilante told a U.N. news briefing in Geneva by telephone from Monrovia. "Even if we are at 2,000 beds two or three weeks from now, the cases we'll have in any single day may be more than that," he said, and adding new beds is of little use without the experts to manage them. There are now some 150 foreign experts in Liberia, provided by Medecins sans Frontieres and U.N. staff, he said.